As many of you will know, I am in fact a student, a self-confessed messy and disorganised one at that. I can usually be found buried under a mound of mess which makes it so hard to concentrate and focus on simple tasks such as revision and blogging. To help this, I have teamed up with Storage King to come up with and research some neat little storage tips, something that actually really tested my imagination and creativity, and share them with you guys to help us all achieve a more organised and stress free life. 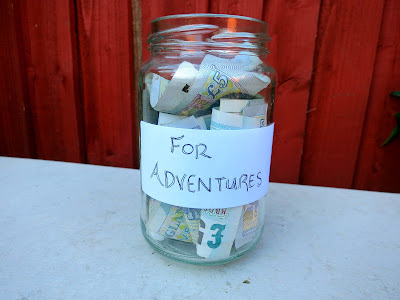 Ever needed a creative storage idea for all of that money that you probably don’t have, to satisfy that wanderlust with travel, for drinks on that next student night out or just to save for the future? Well whatever little adventure that you have in mind, here is a simple solution for you. There are literally a plethora of things that you can do with an old jar, the least of which is store all of that loose change, to save it getting pinched off of the side by those pesky penny grabbers (every penny counts when you’re a student)! It is so tempting to fall into the ‘oh it’s only small change, I may as well just spend it’ trap, but after a while the small change all adds up. Make sure that you have a target or goal in mind and a specific place to keep all of those extra pound coins, even a simple jar will do, to get into the saving frame of mind rather than impulse buying and burning a deep hole in your pocket! I first saw this brilliant idea on Pinterest, the fountain of all creative knowledge and wisdom, and just had to steal it for myself. 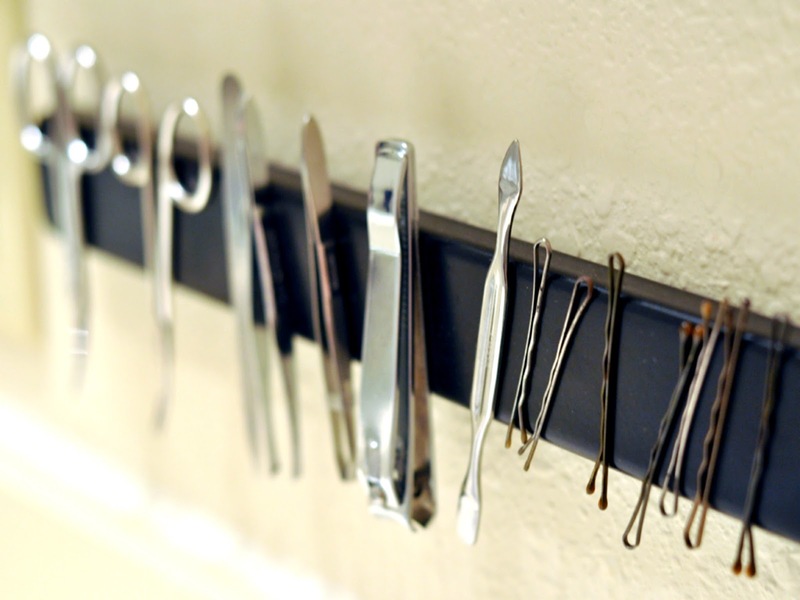 Self-adhesive magnetic tape has so many uses, my favourite of which is to store all those little manscaping tools that always seem to go missing from the bathroom cabinet. I have also been informed by my sister that it is great for keeping track of those weird hair clip things that I always seem to find lying around the house. I feel like my shoe collection has been steadily growing out of control and before long I will be drowning in a sea of trainers and high-tops. I don't really have a whole lot of storage space at university, so my shoes tend to be left pretty much wherever they fall off of my feet and safe to say that I have tripped over a few times (a lot), so a solution was well needed. 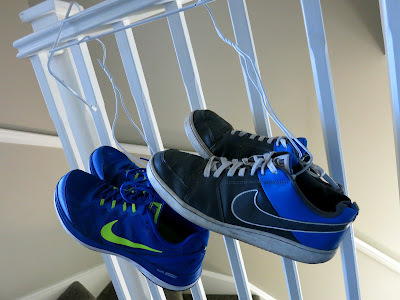 That’s when I stumbled upon the idea of modifying hangers to store your shoes, which has saved me a whole lot of space and my knees a whole lot of pain. This is such a simple but effective idea (If I, the least creative person in the world, can do this then so can you) and you can let your imaginative mind run wild and decorate the hangers with whatever you like to give them a theme more suited to your personal taste. 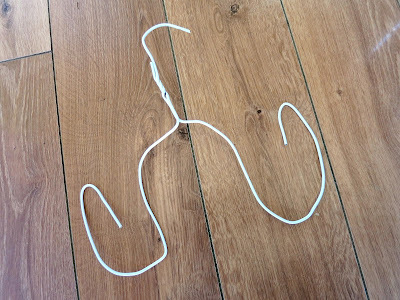 Just cut the hanger in the middle, bend round the sides like in the photo, decorate and hang on those shoes, simples! 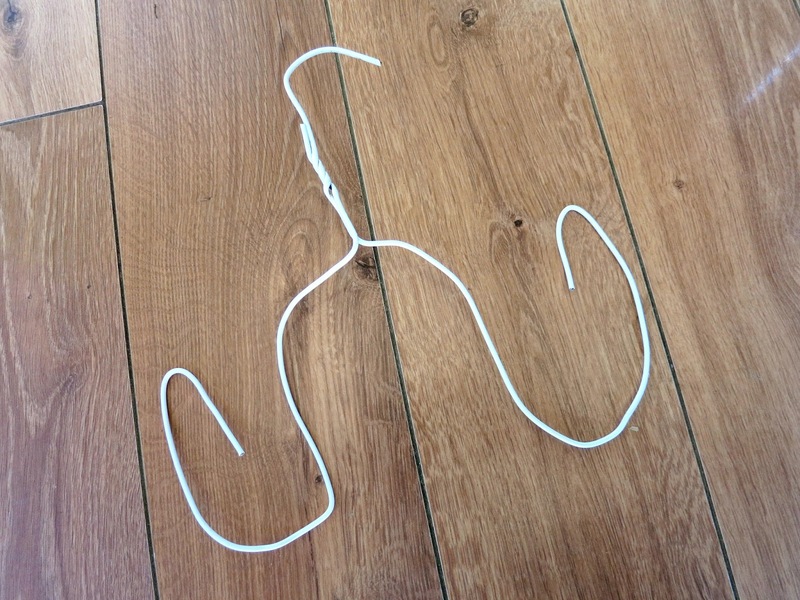 I think it will always be one of life’s little mysteries as to why wires such as headphones and phone chargers are forever becoming tangled up, no matter how hard that you try to avoid the inevitable. I suffer from the ‘my phone charger always falls out, leading to my phone alarm not going off and oversleeping’ dilemma, which was so easily solved after a little tumblr surfing, using a few binder clips. 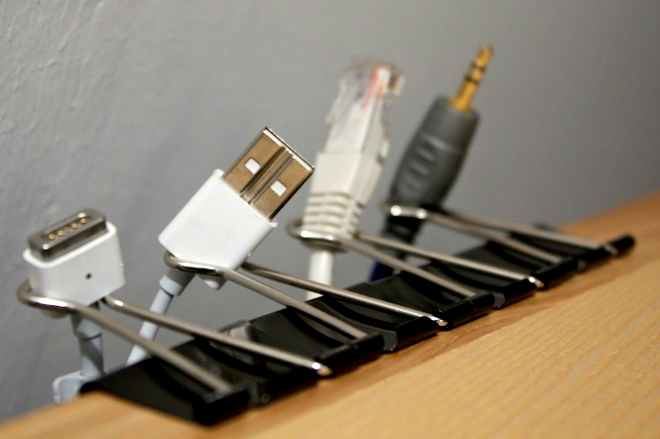 Binder clips are so cheap, you can usually find them laying around the place in offices and schools (yay, free!) and they are also perfect for creating you very own charger station so you never have to untangle those troublesome wires again. I am forever losing jewellery, probably due to those pesky jewellery goblins who always seem to move it around from where you leave it (that’s what I tell myself anyway). 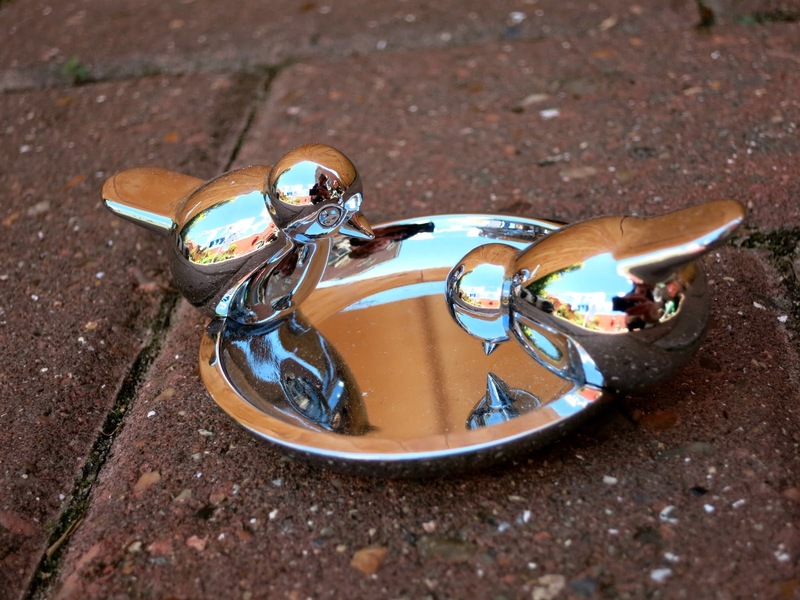 This is easily solved with this unique little ‘bird bath’ jewellery holder purchased from BHS a while ago, which is the perfect way to store your necklaces, earrings or rings in a neat and stylish manner. 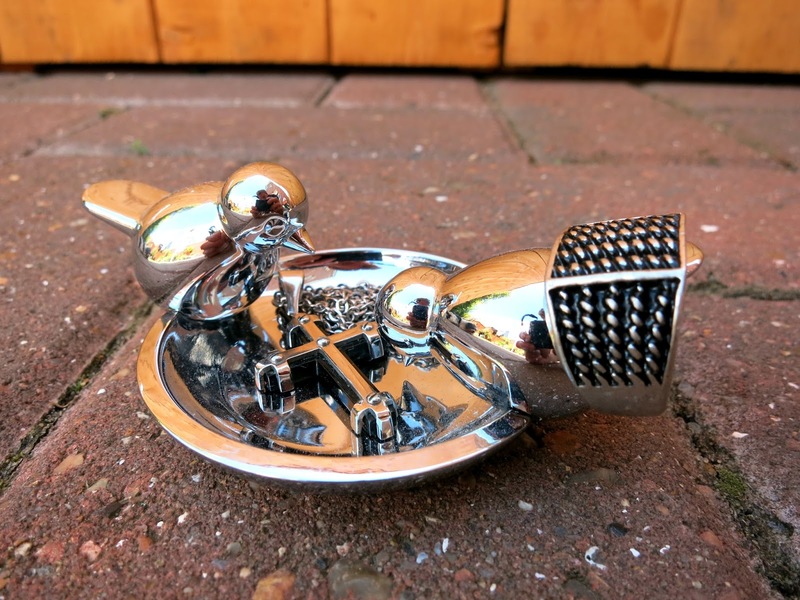 I have seen many different designs and animal combinations on this concept and it looks great sitting on the side, also making it the ideal birthday or Christmas gift! In a student kitchen you’re more than likely going to be living with untidy people (or you are one yourself), so it is pretty easy to become overwhelmed with mess and find yourself lacking space, especially considering you will undoubtedly have about a million of every piece of kitchen equipment possible! 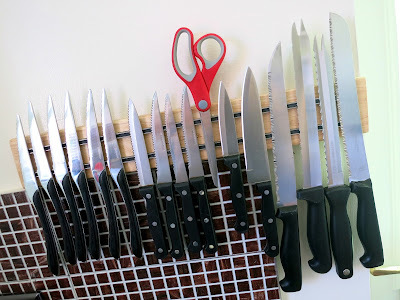 When you find that you have metallic cutting utensils coming out of your ears, cluttering up the cutlery draws and creating an overall dangerous and disorderly mess in the kitchen, I highly recommend investing in a magnetic knife rack to store some of that clutter and impress everyone with your nifty organisation skills. I drink a hell’a lot of smoothies these days, so actually thinking ahead and pre-making them is something that saves me a lot of time and effort on a daily basis. Sometimes buying fruit, chopping and preparing, as well as blending it down into a tasty pulp can be quite time consuming, especially if you live a super busy lifestyle. 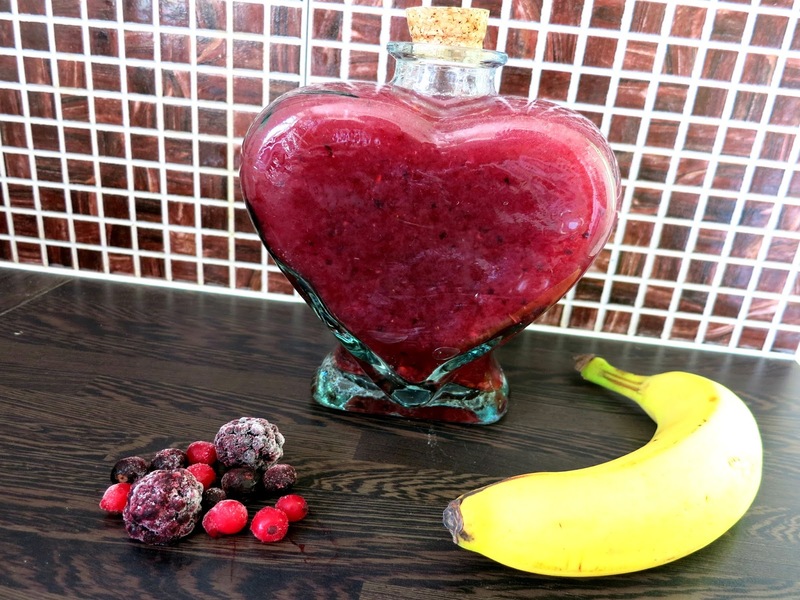 I find it really helps to have a handy little jar or container to store a few servings in advance for a quick and easy way to satisfy your fruity cravings. If you are in need of a simple, safe and easy access storage solution for your personal, business or even student belongings then Storage King could be super helpful for you. Nobody likes dragging every little bit of luggage to and from university every term, running out of stock in your shop because you have nowhere to store it or lugging everything round nan's house while you redecorate the house. Storage King offer flexible storage space, from large lockers to storerooms in order to suit your individual needs and solve all of your storage problems. You can find their website here! Phew, after using every ounce of my creative ability, I'm hoping that these little space saving tips and tricks help to to become more oragnised, let me know if you have any nifty storage ideas which make your life a whole lot easier! This is such a useful and cool post!!! Will have to keep this one for when I move back to my student accommodation. 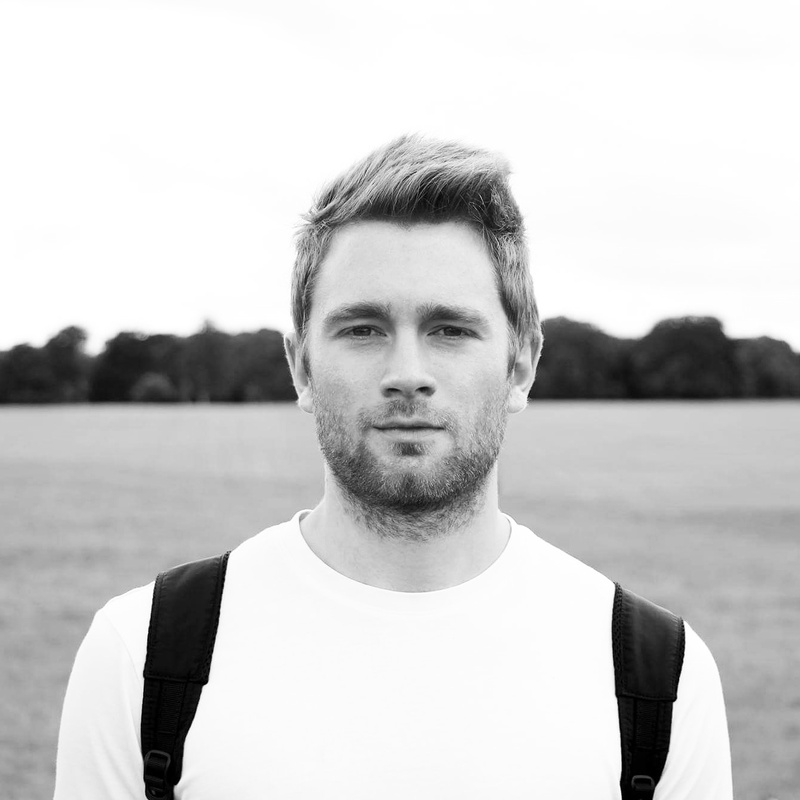 Nice one James!